President Donald Trump has lashed out at America's central bank as a stock market whose gains he once took credit for continued a historic plunge. In a tweet, Mr Trump said the Federal Reserve was "the only problem" of the American economy. Mr Trump's treasury secretary meanwhile scrambled to calm investors. Mr Trump continually boasted about Wall Street's steep climb during the first year of his presidency, but has sought to deflect blame since markets hit a rough patch in 2018. On Sunday US Treasury Secretary Steven Mnuchin took the unusual step of calling the chief executives of America's six largest banks in a bid to soothe market jitters. Mr Mnuchin hosted the call with the President's Working Group on Financial Markets to "discuss co-ordination efforts to assure normal market operations", according a treasury statement. The S&P 500 entered so-called "bear market" territory. Mr Trump's ongoing trade war with China as well as Defence Secretary Jim Mattis's surprise resignation have also unsettled investors. In addition, a partial US government shutdown began at midnight on Friday after Congress refused to fund President Trump's planned US-Mexico border wall. A Sunday statement from the treasury took the rare step of divulging details about Mr Mnuchin's discussions with the top US banks. "The [bank's chief executives] confirmed that they have ample liquidity available for lending to consumer, business markets, and all other market operations," the statement said. "We continue to see strong economic growth in the US," Mr Mnuchin added. 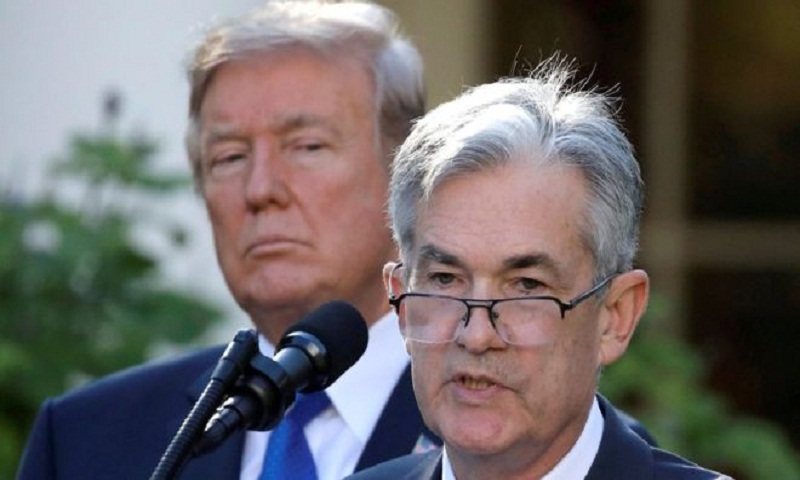 The US treasury secretary tweeted that he had spoken to the president, who insisted he "never suggested firing" Jerome Powell and did not believe he had the right to do so. Some financial pundits warned Mr Mnuchin's intervention could backfire. Jared Bernstein, who was economic adviser to former US Vice-President Joe Biden, told the Washington Post: "The markets are already nervous enough. "It's like sending out a message saying our space shields can intercept incoming asteroids. Uh, I didn't know there were any coming our way." Oliver Pursche, a board member at Bruderman Asset Management, said: "More than anything else right now, Washington and politics are absolutely driving investor sentiment and market direction and that can turn on a dime." Win Thin, head of global currency strategy at Brown Brothers Harriman, told the Financial Times: "At best, Mnuchin made a rookie policy mistake in trying to reassure markets; at worst, Mnuchin knows something that the markets don't."